Golden amber color. Delicate, buttery, fruity herbal hoppy aromas and flavors of citrus custard tart, lemon herb muffin, and dried mango with a lean, vibrant, fizzy, dry-yet-fruity medium-to-full body and a tingling, amusing, cheery finish with suggestions of catsup, roasted corn, pie pilling, and pepper finish. More like a hoppy, easy-drinking barleywine. 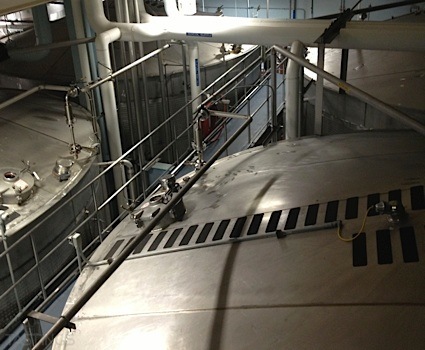 Bottom Line: More like a hoppy, easy-drinking barleywine. 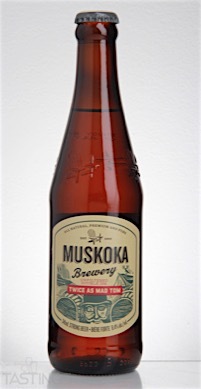 Muskoka Brewery "Twice as Mad Tom" Double IPA rating was calculated by tastings.com to be 86 points out of 100 on 5/13/2016. Please note that MSRP may have changed since the date of our review.